This is harder than it looks this. I know I've been restricting myself to the shelves in one particular room and I'm not supposed to be including other stuff that's lying around the house and in the car and things... but life's not that black and white. Although the CDs on the main shelves are pretty neatly ordered, there's an overspill shelf just next door, and every time I look at it, I see something else that I've missed. Not only that, but CDs keep finding their way back from little piles around the house (although the pile on the stairs from a recent clearout of the car is still there and has been there for about a month now. I'd have a sweep up, but it'll just make things more complicated). I bought this in anticipation of going to a concert that I never actually went to. I think it's fair to say that I didn't really get on with this record for a while, but increasingly I find that it has crawled under my skin. I didn't bother going to see them at Glastonbury when I had the chance, but given that I greet hearing them on the radio with some enthusiasm, perhaps I had better make the effort the next time they are in town? From the heavy metal years, but still damn fine albums. I was lucky enough to be at the famous gig at the NEC where it rained seat covers. Perhaps you had to be there? I saw this lot backing Billy Bragg in Bristol once and thought they were interesting. They are interesting, but given that I haven't listened to this album in more than 5 years, apparently they weren't that interesting. I'll give this one a spin and then get back to you, I think. Generic greatest hits to replace a generic greatest hits with some kind of scary Jimi Hendrix puppet on the front that I used to have on cassette. Brilliant, of course. I can remember buying this album distinctly. I was staying in Plymouth with my grandparents and I walked into town and purchased this from the local Virgin Megastore because it had been given full marks by (I think) Select magazine. 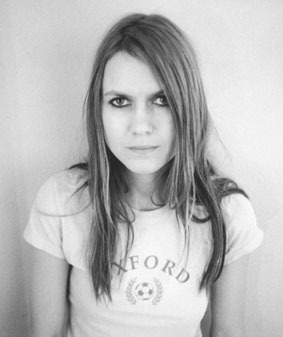 Juliana Hatfield was (and still is) absolutely gorgeous, and although she apparently a former girlfriend of Evan Dando, she was famous for apparently still being a virgin. Well, whatever... this is harmless sounding really, but I absolutely loved it at the time. "My Sister" in particular rocked my world. "Rid of Me" is a very scary album with very oddly fluctuating sound levels. I know this because I once played the title track on University Radio and had just pumped the sound right up because the levels were so low that the station was in danger of going off the air, when suddenly, at deafening volume, the old banshee starts shrieking "LICK MY LEGS, I'M ON FIRE. LICK MY LEGS OF DESIRE". Brilliant. The other album deservedly won the Mercury Music Prize a few years back, and is rather more tuneful but equally brilliant. Oddly, I've not really been tempted by any of her other stuff. I should check it out actually, starting with the desert session she did with Josh Homme. Yeah, so they have a schtick and they're not about to deviate from that template... but I like the Hives. If it ain't broke, don't fix it. Definitely the loudest gig I have ever been to in my life. Do I have to explain? This went down brilliantly in a car on the way to a stag do in Newquay, as I recall. I used to like the Longpigs. They were dead good. And then this Richard Hawley bloke (when not moonlighting with Pulp) goes away, greases up his quiff and dusts off his Elvis records, and comes back with this. I don't think it's an obvious record at all, but it's brilliant in a very understated kind of way. He loves Scott Walker too, so he must be ace. Ooh, dying to find out what you made of my CD... c'mon, spill! The FNM NEC gig is legendary>? I'd forgotten that. Great show though. Posting out my CD today! I love Hefner. and PJ Harvey too!check out the top 10 scariest songs. PJ's at number 8!